Last season's A-League premiers and champions had to overcome the long trip to Perth to tackle the NPL Western Australia side. The Lions' hopes of following the example of Adelaide City in knocking an A-League side out of the inaugural competition were dashed as a strong Brisbane side that dominated them after the opening half-hour. That was when Brazilian livewire Henrique broke the deadlock, netting with a bicycle kick from close range after the home defence had cleared a goal-bound header off the line. They didn't add to their tally before the break, though Dimitri Petratos hit the post with an intended cross. Stirling keeper Aleks Vrteski was let off the hook that time, but was beaten for a second time when Corey Brown netted 10 minutes into the second half. Skipper Matt Smith then made it 3-0 as he headed home a pinpoint cross from marquee man Thomas Broich. Petratos was again denied by the woodwork when his free-kick struck the post, but substitute Jean Carlos Solorzano was able to convert the rebound. The Lions saw their best chance of the game go begging in the 11th minute, Hayden Doyle's powerful shot from the edge of the area beating Roar keeper Michael Theo but striking the post. Striker Moses Kalau posed some problems for Brisbane's defence, but Mike Mulvey's side were full value for their victory. Brisbane were joined in Friday's draw for the Round of 16 by fellow Queensland side Palm Beach Sharks, who won 2-1 away to level four side Hakoah Sydney City East. 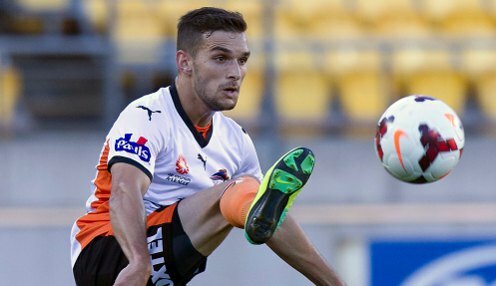 Brisbane are 1/1 to win the A-League Grand Final and 1/1 to beat Adelaide United on Sunday.